Yesterday, we said goodbye to our little angel dog Chloe. Wednesday night, Chloe snuggled with Ryan while he watched TV, one last time. I have called Chloe my angel dog since she joined our family a few days after Christmas in 2007. 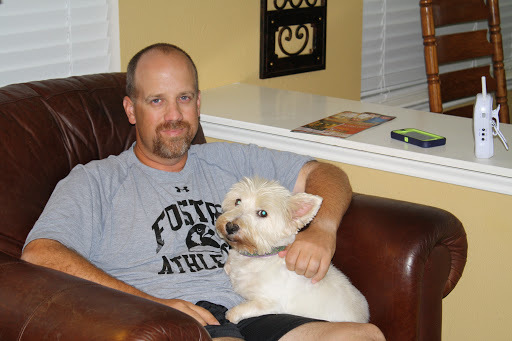 We lost our westie Pippi, my first baby, on Christmas day, and I was absolutely devastated. 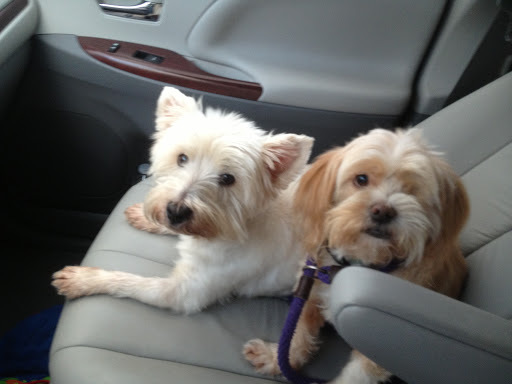 Several days later, we got a phone call from a friend who said there was a little white dog wandering their street. Hoping for a miracle that it was Pippi, we drove over to her house. It wasn’t Pippi, but that little white dog came right up to me and snuggled in my lap. We took her home right then. I know God sent Chloe that day to help me heal from the loss of Pippi. Again, I am so thankful that we found Chloe such a great new home. I hope our little angel dog blesses her new family like she blessed us. 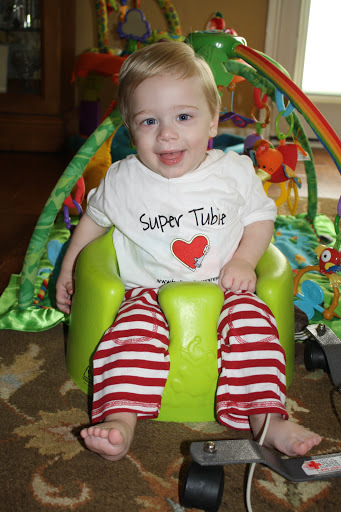 One year ago today, Grayson became a tubie. 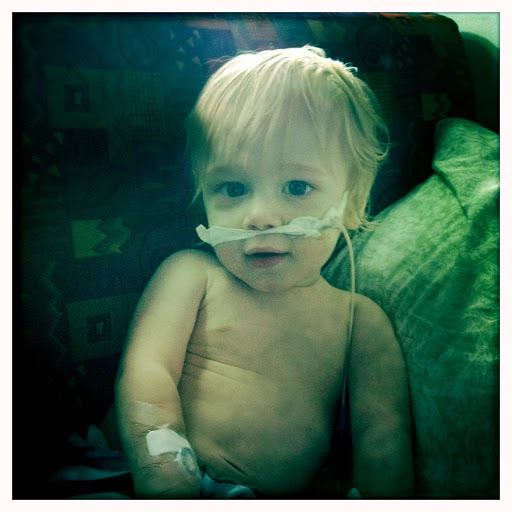 He had an NG tube placed- what we thought would be a temporary solution to his poor eating, vomiting, and low weight. 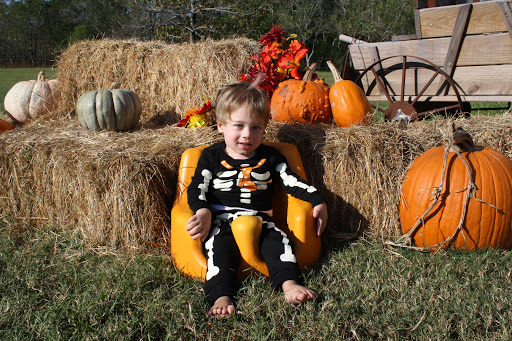 Seven weeks later, he was not eating anything by mouth, and had surgery to get a PEG tube placed in his tummy, and then a month after that, got his G-button. Today, he has a GJ tube and gets all of his nutrition fed into his intestines, almost 24 hours a day. It’s definitely not the typical way to feed your 2 year old, but Grayson has never been one to do anything typically! In one year, he’s gone from a failure-to-thrive baby who struggled with every bottle and every bite, to an on-the-growth-chart toddler who we don’t have to worry about getting enough calories. 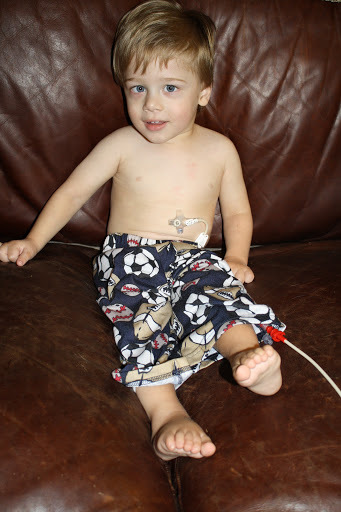 Yes, he still has GI struggles, but his tube is almost nothing but a blessing. There are many moments these days where I feel like I am drowning in stress. Trying to keep the house show-ready, finding homes for the dogs, and Grayson’s current issue (more about that in a minute) have me wanting to raise my white flag. But alas, I can’t, and keep on going. And going, and going. Thankfully, we have so many people helping us deal with life right now and relieving a little bit of the stress. We had a big cooler of frozen meals delivered Sunday by “anonymous” helpers (THANK YOU so, so much if you are reading). I have an offer from a friend to go to her house if we need to while we have showings. And countless other friends have offered prayers, time and help. I am so grateful. 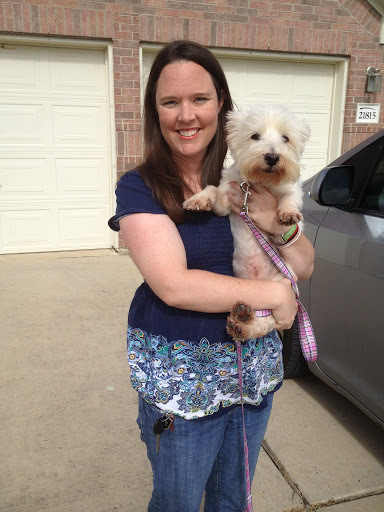 One of the biggest blessings of the last week is we found a wonderful new home for Chloe, our westie. We have two more nights with our sweet pup and she will go to her new family on Thursday, where she will have a big yard, 2 human brothers and 1 canine sibling. I know I will bawl my eyes out and will miss her so, so much, but I am so relieved we found her such a great home so quickly. And we have a potential new home for Gabby too- we will meet up on Saturday to see if it’s a fit. Another blessing that becomes more and more precious to me as time goes on is my Mito Mom friends. I have learned more from them than any doctor, and this week, as we have been dealing with issues with the new tube, I have gotten awesome advice from these moms- even when I literally had a message yesterday from a GI nurse saying, “I can’t help you.” Really??? 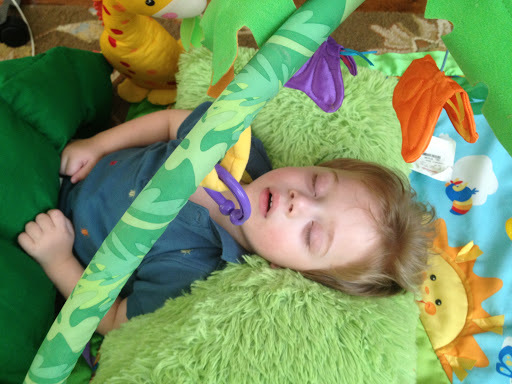 Grayson’s new tube technically is doing what it’s supposed to do. All his formula goes into his intestines, bypassing the stomach. And the formula is staying in, which is wonderful. BUT- he’s still throwing up stomach secretions every day, as well as anything we put in his stomach, which is supposed to be his medication. I have absolutely gotten NOWHERE with GI- which partly is my fault because for some maddening reason, I NEVER hear the phone when they call and it’s not like you can call them right back- if you miss their call, too bad. Start over by leaving a message, which someone will translate incorrectly, and then the nurse will call you back with an answer not even close to what you need. It’s an awesome system. Anyway, thanks to my Mito Mom friends, I’m putting his medication in his intestines, so it’s staying in. And last night, I ran Pedialyte through his tube all night instead of formula. He woke up happy and not puking- amazing! I don’t remember the last time he didn’t throw up within minutes of waking up. I put him back on diluted formula around lunchtime and he made it to 5:30, but then threw up again. We saw the Mito specialist this morning. We left the house at 6:45 and got back home at 11:30. And yes, all we did was drive to the med center for the appointment and back. It was a loooonggg morning, complete with lots of traffic and waiting an hour and a half past our appointment time to see the doctor. The appointment was good- she changed the dosing on one of G’s meds and is going to try a different seizure med with him to hopefully help with his irritability. They are still working on seeing if we can get a genetic diagnosis for him and if he will be eligible for the Leigh’s clinical trial drug. We may know something in about a week. She did warn me that it’s likely we won’t get the genetic confirmation though, so I’m not obsessing too much about it. There’s too much disappointment in this Mito world already. She still wants Grayson to see genetics, but the soonest appointment they had when I called was January 31- three days before my due date. Obviously, that will be NO help for me as far as prenatal testing, and logistically, I doubt I would be able to take G to that appointment. So the Mito clinic called the genetics clinic today and got him in for January 17. So…this baby MUST stay in until at least the 18th! You hear that, baby? ha! 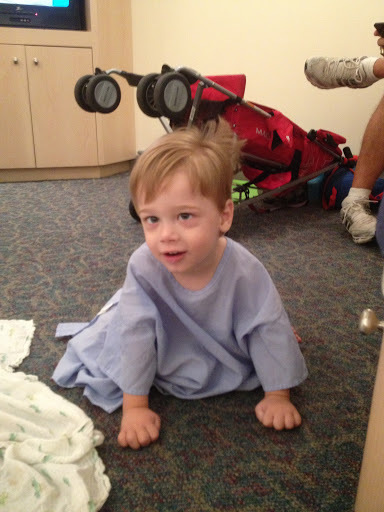 A year ago Grayson was in the hospital- still undiagnosed, and we didn’t know why he was throwing up uncontrollably. We are in such a better place now- yes, he’s still throwing up, but we now know why. I have so many new friends who I unfortunately have met because of this awful disease that our kids have, but am so blessed to know and learn from. And I still have this little guy, who fills our life with love and joy. I haven’t even typed half a sentence on this post and I’m already in tears. As I mentioned in my last post, we have been struggling with some really hard decisions- two things that will drastically affect our family before Baby #2 makes his or her entrance in the world in 2013. The first decision is we are going to move. We are most likely staying in the same area of town, but are looking in neighborhoods that at this point are more financially doable for our family. Our house is on the market now, and while it’s annoying (and very difficult) keeping it show-ready at all times, I know it’s relatively short-term and we will survive. The second decision has been heart-wrenching. As evidenced by just the title of this blog, I am a dog person. I love them. I work at a pet ranch. For almost 5 years, Ryan and I have had four dogs, which most people think is insane. And it is. Before I had Grayson, I would take them to the dog park every single day after work and spend several hours watching them play, swim and chase squirrels. It was my bliss. I vowed I would never be a person who gets rid of her dogs after having a baby. After all, they are family members. But this was before I had a baby, and a baby who most of the time requires a lot of extra work. And this was before I unexpectedly got pregnant with another baby. My dogs are sweet. They are respectful of Grayson and I never feel like he is in any danger with any of them. I still love them to pieces. But honestly, they are not my bliss anymore. At all. I resent the amount of work they are, on top of taking care of everything else. I do not walk them, nevermind going to the dog park. I resent cleaning up after them, remembering to let them out to potty, and dealing with their barking- basically, just their “dog-ness”. I am stressed to the max, and with a newborn coming home in a few months, something’s got to give. I’ve known for months that I cannot have a special needs toddler, an infant, four dogs, and my sanity. Logistically and emotionally, it’s just impossible. But I ignored this fact for a long time. Thankfully, I’ve had several close people in my life, as well as my counselor, approach me about this recently and have helped me to face reality. We are not making this decision lightly. I DO NOT think dogs or any pets are disposable. This is incredibly agonizing and I can’t stop crying about it. But I know it’s for the best for myself and for my family. At this point, we are looking to find homes for our 3 female dogs, Chloe, Gabby and Izzy. Right now, we are planning on keeping Hank and seeing how it goes. If you are local (or can get to the Houston area) and are interested in giving one of our sweet dogs a good home, email me at elikline25@hotmail.com. I’m not on my computer at home so I am not posting pictures right now, but there’s a lot of pictures on this blog or you I can email you some. All three are current on their shots, well socialized (they go to doggie daycamp several days/week) and are on flea and heartworm preventative. Here are some facts about our little sweethearts- feel free to forward this post to anyone you know who may be interested. 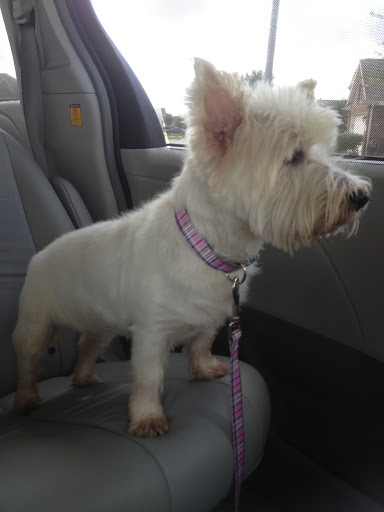 Chloe: West Highland White Terrier. We think she’s about 7 years old. Sweet, obedient, loves to play. Good with kids, although probably not toddlers because she will snap if you get right in her face. Good with other dogs- loves to wrestle around with Izzy. No health issues. Gabby: Lhasa Apso, blonde. Approximately 8 years old. Very sweet. Will cuddle for a few minutes at a time, but is content to hang out near you, not necessarily, on you. Only has one eye, but it’s adorable. Is fine with other dogs but would be great as an only dog too. 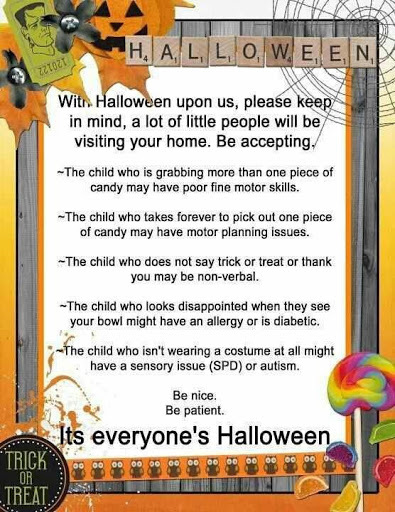 Would be good with calm, respectful kids. No health issues. Izzy: Miniature Dachshund. 5 years old. Very sweet, spunky and oh-so adorable. But can be stubborn and naughty too. Needs a home with consistency and gentle discipline. Has a small bladder and needs to be let out often. Izzy loves to bury herself under the covers, blankets, or laundry. Wants to be with us at all times. Great with kids and other dogs and loves to play. No health issues. I haven’t written in almost two weeks (or commented, really, so sorry). I’m in another one of those times where there’s a lot going on, but not much I’m wanting to write about. We’re in the midst of some major life-changing decisions for our family, and I’m torn between obsessing over and avoiding the decisions. Anyway, I hate to be vague, but there’s my excuse for not writing. I’ve had several people ask if we are ok because I haven’t blogged, which I’ll admit is flattering. I do love this space and what a great outlet it is for me. We’re fine. Since I can’t remember anything past a few days ago, I’ll just start there. Saturday was my birthday. I worked in the morning, and then my parents took me, Ryan, my brother and sister in law to dinner at one of our favorite restaurants. Unfortunately, after a great birthday, I woke up in the middle of the night with a bad stomach ache. I was hoping I had just eaten too much, but no such luck. By 6 am I was vomiting and couldn’t function. I spent the day in bed- we ended up going over to my parents’ house and my mom took care of me. We spent the night over there because Grayson had his feeding tube procedure this morning and we had to be in the Med Center at 6:00 am. It is a much quicker drive from my parents’ than our house. The procedure went great. We were with him when they put him under anesthesia and were able to kiss him goodbye. It’s funny that G’s now been in surgery/anesthesia so many times that we and the nurses and doctors recognize each other. Funny, but kind of sad too. In the PACU (recovery) we are the family whose kid takes forever to wake up- ha! This time, the anesthesiologist tried something different with G that she said had been successful last week on a Mito kid and would make him wake up sooner. He still took a long time, but it was shorter than in the past. Grammie’s singing was what finally made him open his eyes. So far, the GJ tube is working fine. The button part is HUGE- I guess I’d never seen one and it looks totally different than the G-button. But it doesn’t seem to bother Grayson. He did throw up three times this afternoon- yellow bile-looking stuff. Yuck. I’m hoping it was just because of the anesthesia and this new tube really does cut way back on the vomiting! Grayson saw his GI doctor this morning. He has been vomiting a lot again (3 times just this morning) and not only is this awful for him, health and comfort- wise, it’s just been a pain. I’ve been getting him dressed at the last minute before we go anywhere and covering him with a huge bib and blanket in the car, just in case. I have to wash his crib sheets multiple times per week (and anyone with a baby knows how annoying making up a crib is), and sometimes have to give him baths in the middle of the day. It’s annoying. Since Grayson got his tube a year ago this month, his weight gain has been steady and consistent. He’s never been above the 6th percentile, but that’s a lot better than being below 0, which he was for a long time. But today when the nurse weighed him, he was down to 22 pounds, 4 ounces. Not even a month ago, he weighed 24. I got a little panicky. The doctor wasn’t too concerned about the weight loss, but did agree we need to do something about the vomiting. Next week, if we can get on the doctors schedule, Grayson will be getting a GJ tube to replace his G tube. The GJ tube will bypass the stomach so his formula and medicines will go directly into his intestines. This should solve the vomiting problem. The big negative of this tube is he will have to be on continuous feeds again- this means attached to his pump 24 hours/day. NOT FUN. The tube will be placed under anesthesia but should be a quick and relatively easy procedure. However, anytime Grayson is under anesthesia, he gets sick with respiratory issues. Bleh. I also had an OB appointment this afternoon. 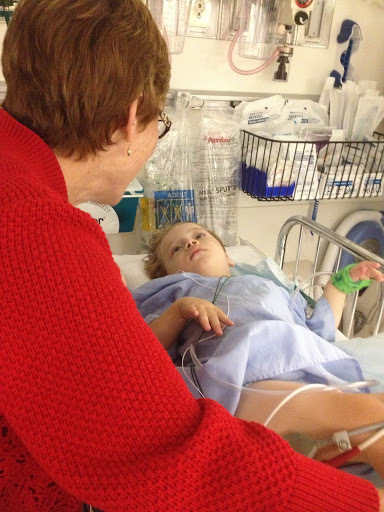 My doctor cried and hugged me when I told her about Grayson and his Leigh’s diagnosis. Then I cried when I talked about the baby and my fears about it being healthy, and she cried and told me this baby is a gift from God. I told her I absolutely agreed, but that God has a quirky sense of humor when it comes to my family. I almost had a panic attack when she measured me for the first time today. Our first “clue” something wasn’t right with G was I measured small in my pregnancy, although that started later- around 30 weeks (I’m 22 weeks now). Thankfully, today, I measured on track and heartbeat was perfect. But again, perfect measurements and heartbeats don’t mean much to me these days. I guess that’s just how it’s going to be. On a sort of unrelated topic, I have a friend whose son also has Leigh’s and their story is featured on ABC News today! Her son sees the same doctor as Grayson and she’s quoted in the story too. 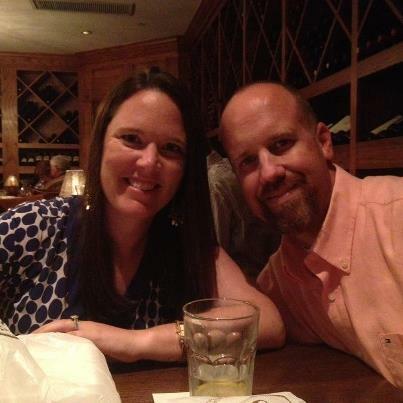 Click here to read their story. Note: The article mentions a clinical trial for a drug that has shown to reverse the progression of Leigh’s in some patients. Unfortunately, we found out last week that Grayson does not qualify for the trial at this time because he doesn’t have a genetic diagnosis. We are extremely disappointed by this news, but we hope the criteria will change at some point and he can get on the trial. There is so much in my life right now which I have ZERO control over. And there are so many other families in similar situations- life is just hard. Thank goodness for prayer, family, friends, carbs and cheese, and mindless television. Happy Wednesday friends!